How Versatile is your Marketing Strategy? Social Media allows for your brand personality to be shown on a daily basis to your customers, both existing and new. Social Media often fails to show results for businesses due to the lack of strategy and analytical tools available. However, with a well-formulated strategy, there can be endless success. Social Media provides the ability to engage with customers on a personal level and, as a result, increase their loyalty. You are able to provide lightning fast customer service and increase their user experience with your brand. Most importantly, it helps to keep a few steps ahead of your competition and keep your business top of mind. Can your business afford to not leverage Social Media? Can your business afford to not leverage Social Media? 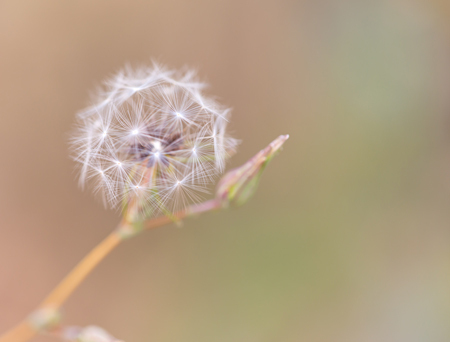 Are your marketing efforts just futile attempts, blowing in the wind? Photo by Jeff Finkelstein, Skunk Canyon, Boulder, Colorado. Social media is a platform for sharing information, communicating directly with customers, executing marketing campaigns, and most importantly, building a brand personality and relationship with your customers. The true value of Social Media has become apparent in recent years as marketers have honed in on the strength of social engagement. Social Media has proved itself a high converting funnel for driving traffic to your site. It is also becoming a platform for customer service, making it even more important for serious businesses to be monitoring social media. SEO implications of social media matters to search engines, such as Google, algorithms are taking into account social media metrics, which add to a site’s overall trust, authority, and rankings. Social media is a form of link building and the more traffic you get to your site, the more your overall website strength will improve and increase your rankings. It’s a great place to share your best articles, infographics, and videos; after all, if no one sees them or is aware they exist, what good are they? We start your social media strategy by understanding what you want to get out of it. We then work with you to build out the strategy while building up or enhancing your brand personality and voice to positively engage with your customers and followers. Depending on your brand, products, and services, your social media strategy will not always begin and end with Facebook and Twitter. There are various social media platforms that work better for different industries and targets and we’ll help you understand which is best to focus your online social media on. In the end the goal is always to build a stronger relationship with your consumers while driving traffic to your website.Between increasing brand awareness and personality, generating traffic to your site, increasing your site’s rankings, promoting sales, and more, social media does a lot to help your business overall. You are able to zero in on your target market at a fraction of the cost associated with paying for an ad in a newspaper, on television, or billboard while gaining long-term benefits and repeat customers.